What is Ceng Demo Day? In Ceng Demo Day, students from department of Computer Engineering at Middle East Technical University present their graduation projects to the target audience. Every year, nearly 100 students graduate from the department of computer engineering at METU. Students who have been challenging with courses for the last 4 years are converting all of their knowledge and experiences into concrete outcomes by implementing their graduation projects. Dr. Balci, 1986 yılında Deniz Harp Okulundan Kontrol Sistemleri dalından mezun oldu, 1991’de ABD Monterey / Kaliforniya’da bulunan Naval Postgraduate School’da Bilgisayar Bilimleri dalında Yüksek Lisansını tamamladı; 2000 yılında ise Boğaziçi Üniversitesinde Bilgisayar Mühendisliği bölümünden Doktorasını aldı. Deniz Kuvvetlerinde değişik tip Savaş gemileri ve Sahil Güvenlik botlarında görev yapan Dr. Balcı, Türk Deniz Kuvvetleri Yazılım Geliştirme Merkezi’nin (YAZGEM) ve Araştırma Merkezi Komutanlığının (ARMERKOM) kuruluşları esnasında çekirdek personel olarak görev aldı. Bu görevleri esnasında aktif olarak bir çok orta ve büyük ölçek ulusal ve uluslararası projede görev aldı, yönetti. Deniz Kuvvetleri K.lığı Araştırma Merkezi K.lığının 5 yıl Komutanı olarak görev yaptıktan sonra, bir yıl süre ile Dz.K.K.lığı APGE Daire Başkanlığı görevini yerine getirdi. 2013 yılında, Albay rütbesi ile kendi isteği ile emekli oldu. Emeklilik sonrası ARGELA bünyesinde çalışmaya başlayan Dr. Balcı, 1 Ağustos 2017 tarihinde ARGELA’da ARGE, Kamu ve Savunma Çözümlerinden sorumlu Genel Müdür Yardımcısı görevinden ayrılarak, yeni kurulan ULAK Haberleşme A.Ş.’nin kurucu Genel Müdürü olarak görev yapmaya başladı. 4 aylık kurulum aşamasının tamamlanması sonrasında, 2018 başından itibaren uzun süreli bir yol haritası çerçevesinde, ULAK 4.5G Baz İstasyonu ve MİLAT (Milli Ağ Teknolojileri)’nin ürünleşmesi çalışmaları başta olmak üzere, azami oranda milli ve yerli imkanlar ile 5G ve 5G etkinleştirici teknolojiler konusunda uygulama ve ürün amaçlı ARGE çalışmalarının, yurt içi ve yurt dışı eko sistem ile birlikte, gerçekleştirilmesi için yoğun bir şekilde çalışmalarına devam etmektedir. Dr. Ayşenur Birtürk received her B.Sc., M.Sc. and Ph.D. degrees in Computer Engineering from Middle East Technical University (METU), Ankara, Turkey. She worked as a Programmer and Systems Expert at IsBank Computer Center, Ankara, Turkey between September'85-September'89. She was a Research/Teaching Assistant at METU, Dept. of Computer Engineering, Turkey between September'89-February'94. She worked as a Summer Research Assistant and later as an Academic Intern at NEC Research Institute, Inc., Computer Science Division, Princeton, NJ, USA between the dates June'96 - Nov'96, June'97 -August'97 and June'98 - August'98. She is an instructor at METU, Dept. of Computer Engineering since February'94. 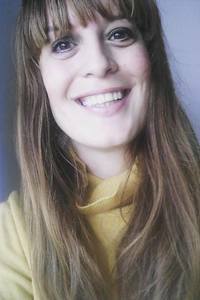 Her research interests include Artificial Intelligence, Natural Language Processing, Computational Linguistics, Knowledge Engineering, Knowledge Representation and Reasoning, Data Mining, Expert Systems, Web Personalization, and Recommender Systems. Berkan Uslu received his B.Sc. in Computer Systems Teaching and M.Sc. in Computer Engineering from Suleyman Demirel University, Isparta, Turkey, in 2009 and in 2015. Since 2008, He has been working as AI and Gameplay Developer in several game projects. He was co-founder of Kodgraf Game Studio in 2009. In 2014, he launched a new indie game development studio called Moonbridge Games which is completely focused on independent mobile game development. He has experience in game development and working with several game engines such as Torque 3D, PlayCanvas, Unity 3D and Unreal Engine 4. He has been working at Training and Simulation Department of HAVELSAN since April 2017. Can Peker received his B.Sc. degree from Computer Education and Instructions Technology at Middle East Technical University and M.Sc degree from Information Systems as same university. He is currently working as Development Manager at Comodo, managing Valkyrie projects teams which focused on detecting malicious files, urls, domains and present to customers in different platforms. He brings his 11 years of development and management experience to Comodo and responsible for development management processes on Comodo threat & research labs. Cüneyt Kuru received his B.Sc. degrees in Computer Engineering from Istanbul University in 1999 and his M.Sc. degree in Informatics from Istanbul University in 2007. In 1998, his work life has begun as a software engineer in the Internet sector. 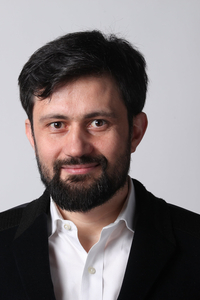 After starting his career path in 2001 at Dogan Online, he continued as Director of IT and Business Development under Dogan Online/Medyanet between 2006-2012. 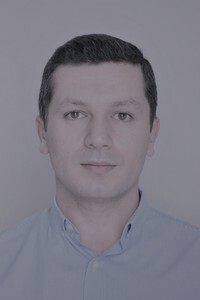 Cüneyt Kuru, who is mainly working on the development of advertisement server systems, supply and demand side platforms, and data management platforms has been working as CTO since 2014 at ReklamStore which is one of the companies that develops technology in the field of digital advertising. Doruk Fişek, Özgür Yazılım A.Ş. 'nin kurucularından biridir. Şu anda operasyonların yürütülmesinden sorumlu yönetici olarak çalışmaktadır. Doruk'un bilişim sektöründe 20 yılı aşkın deneyimi bulunmaktadır ve bu deneyim özellikle Linux ve diğer özgür veya açık kaynak kodlu yazılımlar içeren sistemlerin kurulması, işletilmesi ve bu konularda eğitimlerin düzenlenmesi odaklıdır. Linux Kullanıcıları Derneği'nin bir dönem Yönetim Kurulu Başkanlığı'nı yapmak dahil olmak üzere özgür yazılımlarla ilgili pek çok gönüllü çalışmada da bulunan Doruk Türkiye'deki özgür yazılım topluluğu tarafından da tanınan ve takip edilen bir kişidir. Doruk Türkiye'deki önemli özgür yazılım projelerinden biri olan Pardus'a da 2000’li yıllarda çeşitli katkılarda bulunmuştur. 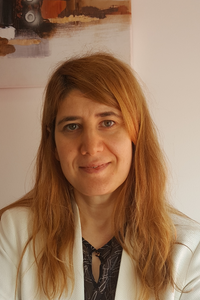 Elif Sürer received her Ph.D in Bioengineering in 2011 from the University of Bologna. She received her M.Sc. and B.Sc. degrees in Computer Engineering from Boğaziçi University in 2007 and 2005, respectively. From 2013 to 2015 she worked as a post-doctoral researcher in University of Milan in the EU Project REWIRE (funded by the Seventh Framework Programme) where she developed video games for the rehabilitation of stroke and Neglect patients. 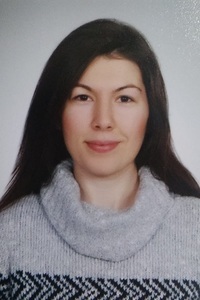 She joined METU Graduate School of Informatics’s Modelling and Simulation Department in 2015 and worked on the training of children having Down Syndrome using video games, which was fully supported by The Scientific and Technological Research Council of Turkey (TÜBİTAK) under TÜBİTAK 2232 – Reintegration Research Fellowship Program. She is currently working as an Assistant Professor at the METU Graduate School of Informatics’ Multimedia Informatics program. Her research interests are serious games, virtual/augmented reality, human and canine movement analysis, machine learning and computer vision. Ender has 20+ years of experience on design and delivery of enterprise and large scale software projects to Public and Private Sector Companies –with R&D and by agile product development methodologies- Prior to joining Deloitte, Ender was one of the Partners in the leader software company in insurance sector as development manager, chief architect and deputy general manager. 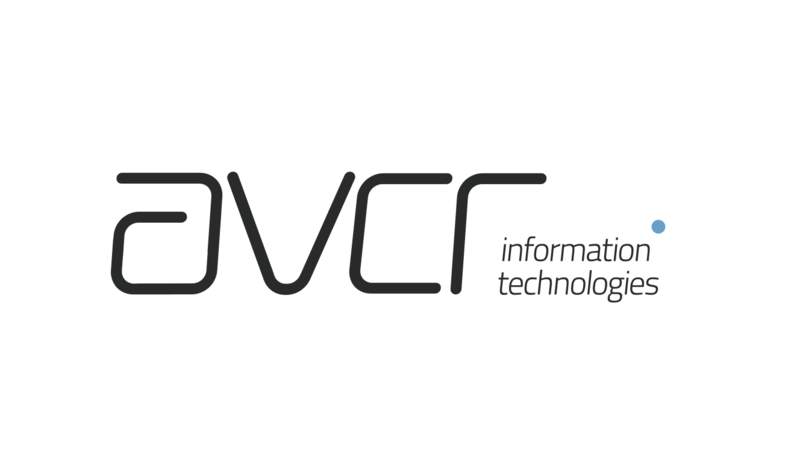 Ender has 15 years of business development, sales and consultancy experience. 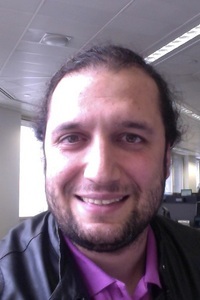 Fatih directs cyber-intelligence and malware analysis research at Comodo. He also heads Comodo’s renowned Antispam Lab (ASLab) research team. 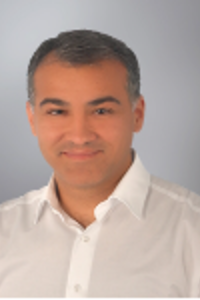 Fatih brings over 15 years of experience in the management and technology industry to Comodo, responsible for cyber-intelligence and malware analysis research at Comodo, among additional R&D activities. 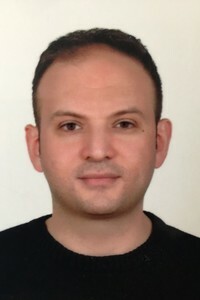 Fatih received his undergraduate degree in Computer Engineering and masters of Science in Informatics from Middle East Technical University. He is currently working on his PhD as well. .
Ferdi is an Experienced Project / Programme Manager & Business Development Professional with a demonstrated history of working in the consumer electronics & telecommunication industries. He received his B.Sc. degree in Computer Engineering from METU in 2010, and MBA degree from Istanbul Bilgi University in 2015. After he worked 2 global company as System Analyst and Business Development Specialist, currently, he is working as “IoT Group Programme Manager” at Vestel Electronics R&D. After mostly worked on Software projects such as Mobile Banking, Payment Systems, Telecommunication Systems, Network Management Systems, Customer Experience Management Systems etc., he is currently working and managing projects/programmes in such areas : Artificial Intelligence, Machine Learning, Data Analytics, Smart City, Smart Home, Industry 4.0. etc. .
Gokberk Cinbis graduated from Bilkent University, Turkey, in 2008, and received an M.A. degree from Boston University, USA, in 2010. 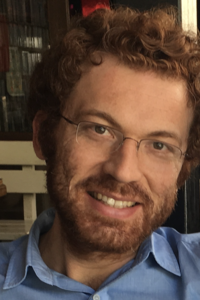 He was a doctoral student at INRIA Grenoble, France, between 2010-2014, and received a PhD degree in computer science from Universite de Grenoble, in 2014. He received the best PhD thesis award from French Association for Pattern Recognition (AFRIF) in 2015. 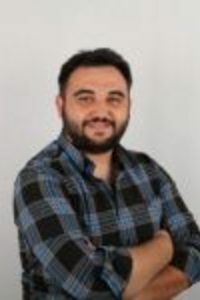 He was an assistant professor at Bilkent University between 2016-2017, and, joined METU Department of Computer Engineering as an assistant professor in September 2017. 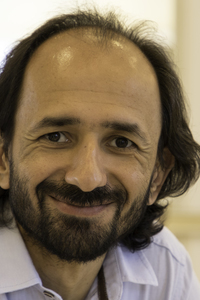 His research areas include computer vision and machine learning, with special interest in deep learning, learning with weak supervision and statistical image models. .
Gökdeniz has B.Sc. and M.Sc. degrees, from METU Computer Engineering Department. His research interests were on computer security and high dynamic range imaging. He worked as a System Administrator and Teaching Assistant at METU CENG, before joining Google Site Reliability Engineering(SRE) team. As part of SRE's mission of making distributed systems available, performant and robust; he is currently focusing on deployment automation. He is an amateur Bass player, and a proponent of Free Software Movement. Dr. Gökçe Yıldırım Kalkan received her B.Sc. degree from the Department of Computer Engineering at Middle East Technical University (METU) in 2002 To pursue her passion in Computer Graphics, she did her M.Sc. and PhD. graduate studies on this subject at the same department in 2005 and 2014, respectively. She worked in Meteksan Systems between 2002 and 2006. Since 2002, she has taken key roles in many large scale simulation projects. In 2006, she co-founded Simsoft Computer Technologies and since then, she has been the general manager. In Simsoft, she conveys her academic knowledge and industrial experience to the simulation projects as well as the management of the company. Her research interests include visualization of large datasets, physically-based animation and image generators. 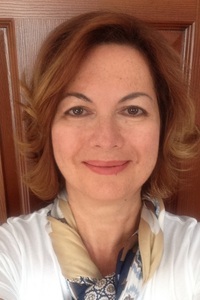 Gönül Değirmendereli received her BSc degree from Computer Engineering Department at Middle East Technical University in 1983, and MSc degree from Boğaziçi University on Engineering and Technology Management in 2005. She worked at IBM as Education Specialist; at I-BİMSA as Database and Application Support Specialist, Business Intelligence and Data Warehouse Consultant, and Project Leader respectively; and at SAS Institute as Principal Consultant and Project Manager. She leaded numerous Business Intelligence, Data Warehouse and Data Quality projects especially in Banking and Telecommunication companies. She had contributed on some World Bank projects as a MIS consultant. Currently she is a PhD candidate in Cognitive Science Department at METU Informatics Institute. Her thesis research is on the analysis of biomedical signals to decode cognitive states during phases of a complex task. 1975 yılında doğdu; Lisans eğitimini İhsan Doğramacı Üniversitesi Bilkent Bilgisayar Mühendisliğinde, yüksek lisans eğitimini ODTÜ Fen Bilimleri Enstitüsü Yön Eylem Araştırması dalında tamamladı. 20 yıllık sektör tecrübesi komuta kontrol yazılımları ve uçuş yönetim sistemleri konularında yoğunlaşan Güray YILDIZ; dokuz yıldır TUSAŞ’da çalışmakta ve son bir yıldır Yazılım Mühendisliği Müdürlüğü görevini üstlenmektedir. 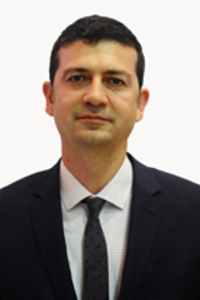 Güven Orkun Tanık graduated from METU Computer Engineering in 2006, Electrics and Electronics Engineering in 2007. He completed his M.Sc. in computer engineering in 2010, and is still working on his Ph.D. in METU. He started working in Havelsan in 2007. He transferred to Arçelik in 2012 and is currently leadingMachine Learning and Data Analytics efforts in Innovation Directorate. Itır Önal Ertuğrul received her B.Sc., M.Sc. and Ph.D. degrees from Computer Engineering Department at Middle East Technical University in 2011, 2013 and 2017, respectively. She worked as a Research Assistant at Computer Engineering Department, Middle East Technical University between 2011 - 2017. During her Ph.D., she visited Pattern Recognition and Bioinformatics Group at Delft University of Technology as a visiting Ph.D. student between July – September 2016. After her Ph.D., she worked as a Postdoctoral Researcher at Affect Analysis Group, University of Pittsburgh. Currently, she is a Postdoctoral Researcher at Robotics Institute, Carnegie Mellon University. Her research interests include affective computing, facial expression analysis and biomedical signal processing. Ismet Yalabik received his B.Sc. and M.Sc. degree in Computer Engineering from Middle East Technical University (METU), Ankara, Turkey, in 2004 and in 2007, respectively. During his master's degree he worked as Research Assistant at Computer Engineering Department in Middle East Technical University. After spending many years in simulation industry (KaTRON Ltd.) and industrial automation areas (evoline TR subsidiary of Siemens Industrial Automation) as software team leader and software architect, he joined Amazon Video in 2013. 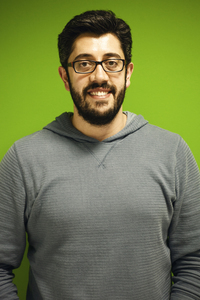 He is currently working on developing world's only complete video streaming service. He also was a former Turkish Judo Champion. 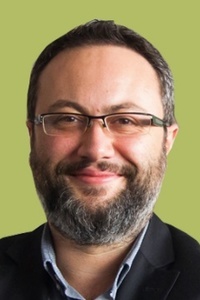 Kemal Uğur, is the co-founder and CEO of AVCR Information Tech. Prior to AVCR, Kemal worked at Nokia Research Center, Finland for 10 years leading the audiovisual coding team. 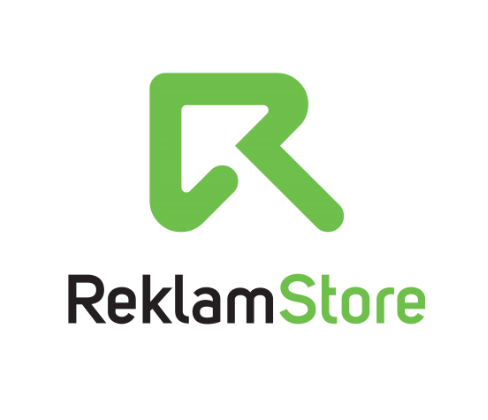 Kemal, co-authored 40 academic papers, and is inventor & co-inventor of around 70 patent applications. 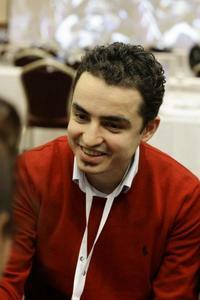 Kemal is a graduate of Electrical and Electronics Engineering department from METU, has M.Sc. degree from UBC, Vancouver Canada and PhD. degree from Tampere University of Technology, Finland. Dr. Mehmet Ozan Kabak received his B.Sc. degrees in Electrical and Electronics Engineering and Computer Engineering from Middle East Technical University (METU), Ankara, Turkey, in 2008. He then received his M.Sc. and Ph.D. degrees in Electrical Engineering from Stanford University, USA, in 2010 and 2015 respectively. He has worked in various Silicon Valley start-ups (Striim, Optumsoft) and also once co-founded a start-up of his own (Stringer Labs). He is primarily interested in Machine Learning, Distributed Systems and Predictive Analytics; particularly their applications in the Internet-of-Things domain. 1982 yilinda dogdu. Evli ve bir cocuk babasidir. ODTU Bilgisayar Muhendisligi'nde lisans ve yuksek lisans programlarini tamamlamistir. Dunyaca bilinen uzaktan egitim sitesi udemy.com'un kurucu muhendislerinden olup, su anda ODTU Teknokent de yer alan 30 kisilik muhendislik ofisini yonetmektedir. 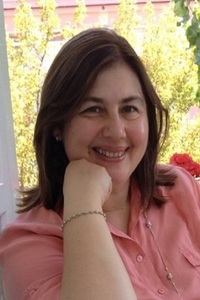 Orçun Dayıbaş holds B.Sc. in Computer Engineering from Hacettepe University (2005) and M.Sc. in Computer Engineering from METU (2009). 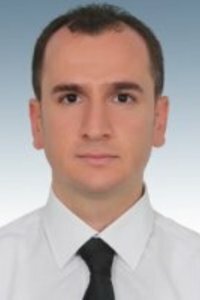 He is still working on Ph.D. studies in METU (Computer Engineering). Currently, he leads the "Big Data & AI tech." department as an engineering manager in HAVELSAN Inc.
Serdar Çiftçi is an Assistant Professor and Chair of Department of Computer Engineering in Harran University. He has received both his MSc and PhD degrees from the Department of Computer Engineering at Middle East Technical University respectively in 2011 and 2017. 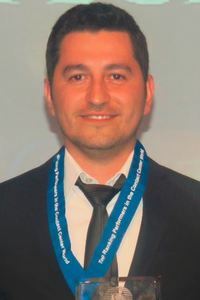 He obtained his BSc degree from the Department of Computer Engineering at Selcuk University in 2007. 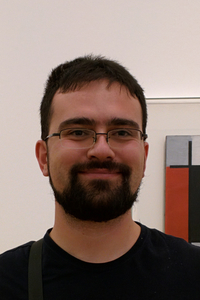 During his PhD, he visited the Multimedia Signal Processing Group (MMSPG) laboratory at École Polytechnique Fédérale de Lausanne (EPFL) as a visiting researcher between January-March 2016. 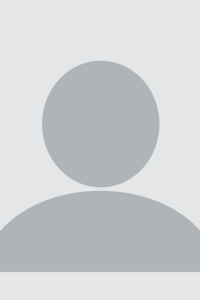 His current research mainly focuses on visual privacy protection. During his MSc and PhD degrees he worked as a Reseach/Teaching Assistant at Department of Computer Engineering in Middle East Technical University and mentored dozens of graduation projects (CENG491/CENG492). Sinan Kalkan received the M.Sc. degree in computer engineering from Middle East Technical University, Ankara, Turkey, in 2003, and the Ph.D. degree in informatics from the University of Göttingen, Germany, in 2008. He joined the Department of Computer Engineering at METU after his PhD. 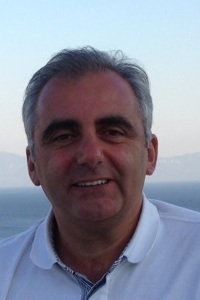 Sinan Kalkan’s research interests include computer vision, cognitive robotics and deep learning. Taner Ayhan received her B.Sc. (1987)and M.Sc(1989) degrees in Computer Engineering from METU. 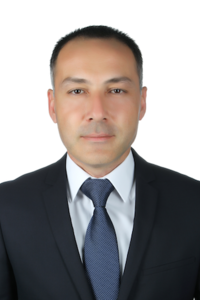 He worked as management consultant for Accenture in Istanbul and London, assistant general manager in personal banking for Fortisbank, general manager for Citibank Turkey and assistant general manager in retail banking for Anadolubank, respectively. Now he is a board member	in Anadolubank Netherlands. 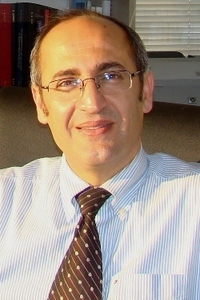 Yusuf Sahillioğlu is an associate professor and the vice chair in the Department of Computer Engineering at Middle East Technical University. 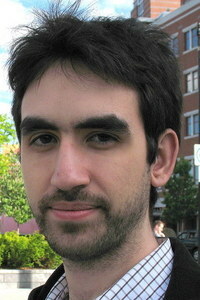 His research interests include digital geometry processing and computer graphics. 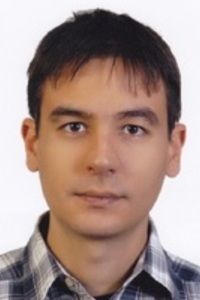 He has a PhD in computer science from Koç University (2012), two MS degrees in computer science from University of Florida (2008) and Koç University (2006), and a BS from Bilkent University (2004). 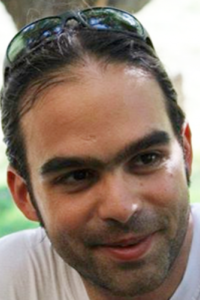 He worked as a post-doc researcher in the computer graphics lab of University of Pennsylvania (2013), and an assistant professor in Middle East Technical University (2014).